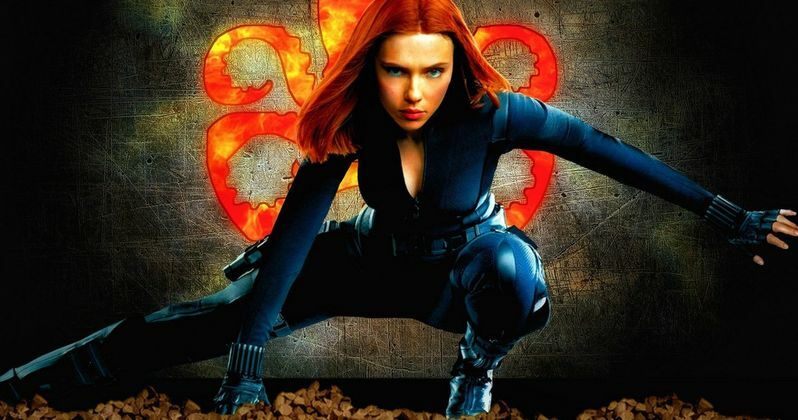 It was recently announced that the standalone Black Widow movie was in the very early stages of pre-production with Jac Schaeffer penning the script. Now, it looks like she'll be going over some ideas for the movie with Scarlett Johansson, according to a new report. A solo Black Widow movie has been talked about for years, so to finally see some forward momentum on the project is exciting for fans and also sheds some light on the next phase of the Marvel Cinematic Universe after Avengers 4. Variety's Justin Kroll reports that the Black Widow movie is taking some pretty major steps in the next handful of weeks. Kroll says that Jac Schaeffer and Scarlet Johansson are due to meet up next month to discuss where to take the character. He had this to say. "Black Widow update: While Jac didn't get a chance to meet with ScarJo before she was tapped to pen BW, hearing the two are likely to sit down at the beginning of next month to talk about the film and how they see it going." While this is not an official report, it does seem likely that this meeting will have to take place sooner or later and may have already happened. This is pure speculation at this point, so it's probably best to take this news with a grain of salt. Black Widow is still in the very early stages of development and it's important to note that the movie has not been green lit by Marvel at this time. As we've learned from DC, just because a project is in development, it does not mean that it will see the light of day. There are a lot of major hurdles for the Black Widow movie to go through and it might not make it past the development stage. However, Marvel has a pretty good track record of getting in-development projects off the ground. Jac Schaeffer has never written a superhero movie and seems to come from more of a comedy background. Schaeffer is best known for her Black List script The Shower, which is a sci-fi comedy about an alien invasion during a baby shower and is also currently working on a movie called Nasty Women that will be an all-female version of Dirty Rotten Scoundrels, which is reportedly starring Anne Hathaway. It makes sense that Jac Schaeffer and Scarlet Johansson will sit down to discuss the character at some point, to see where they both see the movie going. Black Widow is moving along, so it will be interesting to see what form it takes in the coming months now that Infinity War and Avengers 4 have wrapped production. Black Widow will battle Thanos up next in the final two Avengers movies and then we'll have to wait and see what the future holds for her. You can check out the new update for the Black Widow movie below, courtesy of Justin Kroll's Twitter account.